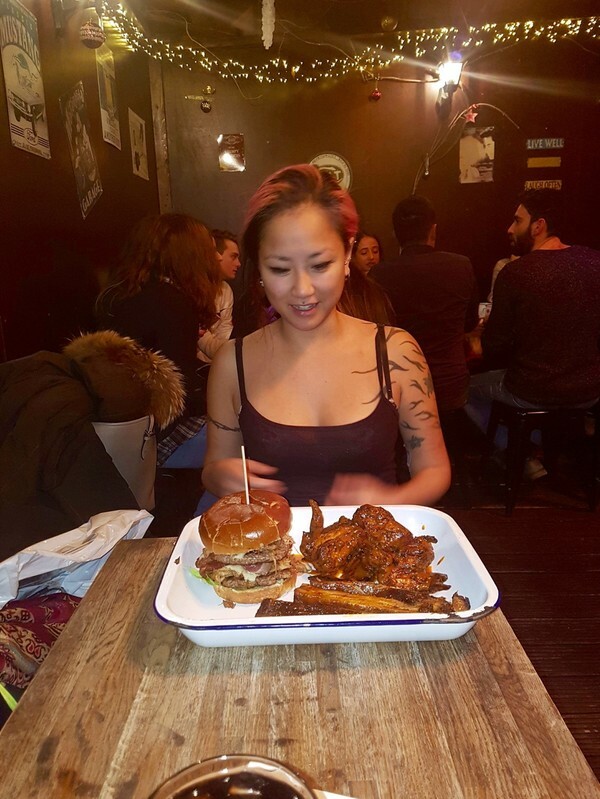 So, visited London for a bit and after walking around in Camden we drunkely decided to pop into Porky's BBQ for their meat feast food challenge. Rules: 1 huge burger with pulled pork and bacon, 3 BBQ ribs and 6 hot wings to be devoured within 30 minutes to get the t-shirt. I normally barely eat meat at all, so I wasn't too sure about this first.... but somehow, I killed it on 20 min 50 sec.